New Broadway Musical Motown About Berry Gordy | All Tickets Inc. The Motown label really caught your eye. Here’s one featuring The Supremes. 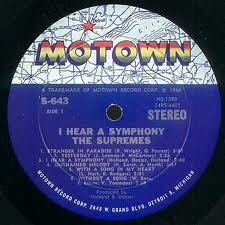 Remember that great Motown label? Much of the staff at All Tickets Inc., which provides group discount tickets, special comp promos and combo deals, remembers that label and the artists that recorded all of those top-40 singles. The upper part of label had a map of the Detroit area with a star indicating the location of the Motor City. The company name was rendered in rainbow letters boldly running across the map and the bottom of the label was a rich purple/blue color. That’s where the name of the song and artists appeared. It looked about as cool as a record label from the 60s could and the artists that recorded on it were amazing. They included Diana Ross & The Supremes, The Four Tops and The Jackson 5. Other artists appeared on additional labels connected with Motown. Just a few of the great early artists who recorded for Motown. Stevie Wonder, Marvin Gaye, and The Miracles released hits on the Tamla label. A third label offered hits by The Temptations, The Contours, and Martha and the Vandellas. The fourth label, which was named V.I.P., included records by The Velvelettes, The Spinners, The Originals, and Chris Clark. Soul, a fifth label, offered hits by Jr. Walker & the All Stars, Jimmy Ruffin, Shorty Long, and Gladys Knight & the Pips. 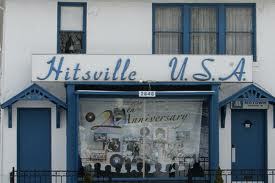 It was Berry Gordy, Jr. who came up with the idea and started Motown. Gordy started out as a songwriter for local Detroit acts. 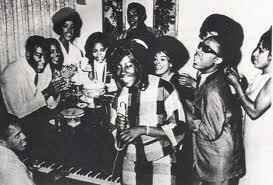 In 1959, he created Motown and signed his first group,The Matadors who changed their name to The Miracles. That group released their first single, “Got a Job,” and then their first minor hit, “Bad Girl.” The rest is history as they say. 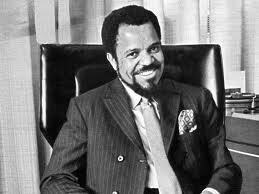 A young Berry Gordy, Jr. enjoying success. 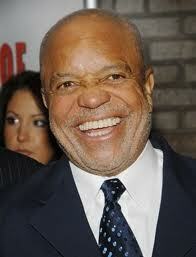 And Gordy, who is now 81, is putting together a new musical called Motown- The Berry Gordy Story. It’s said that he wants to make sure that the real story regarding Motown and himself is told. All Tickets Inc. has noted that it’s been reported in numerous news sources that Gordy has been clandestinely working on the show with Doug Morris, who is a former Universal Music CEO, and Kevin McCollum, one of the producers of Rent. 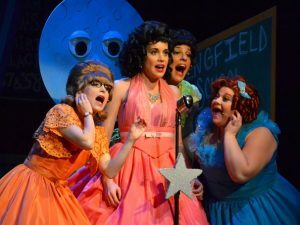 Gordy’s tale will be told against the backdrop of the Civil Rights Movement of the 1960s and will offer a score of Motown hits, which are sure to be a hugely popular with audiences. How much is this show going to cost? Estimates are $100 million. We’re not sure what the group discount tickets price will be, but we’ll be sure to give you the best value possible on this exciting show. Gordy is now in his 80s and wants to ensure his story is told correctly. The investors are said to be lined up and the musical Motown, which has been in development for some time, looks to be a dynamic show. Imagine the hits spinning through this story of a young man of African American heritage who had a grand vision that became a reality. 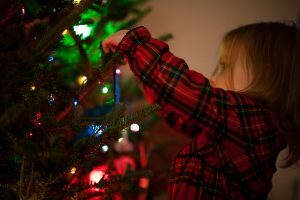 It started with a dream that was driven by passion and defined by a unique individual who recognized and possessed musical talent and entrepreneurial smarts. 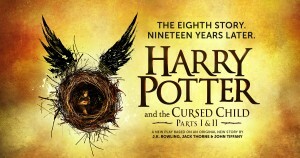 All Tickets Inc. will keep you updated on this new musical. 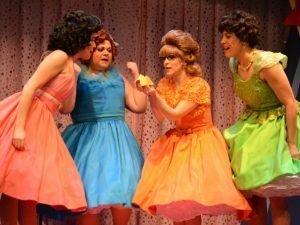 Look for some special deals associated with this musical. In the meantime, be sure to visit our website and sign up for our newsletter. That box is in the lower right hand corner of the page. Keep in Touch With All Tickets Inc. When you hit the All Tickets Inc. homepage you can follow us on Twitter, Facebook and Pinterest and connect with our great video interviews on our Vimeo Channel of those who created Ghost The Musical. All of those icons are in the upper right hand corner of the page. Oh, yes, and please click the WordPress button on that page to connect with our blog. 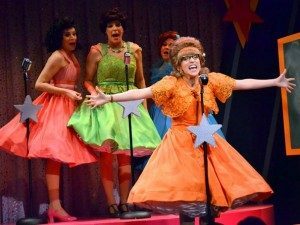 For more information on group discounts for Broadway and Off-Broadway shows, restaurants, hotels, attractions and THE TOTAL NEW YORK EXPERIENCE contact us by clicking here or call us at 800-922-0716.